DU Previous Question Paper – B.com – DU Previous year question papers for B.com are helpful for the candidates looking forward to preparing for their examinations. Delhi University conducts the DU B.com exam in the month of April and Nov/Dec. All the previous year question papers are available on this page. 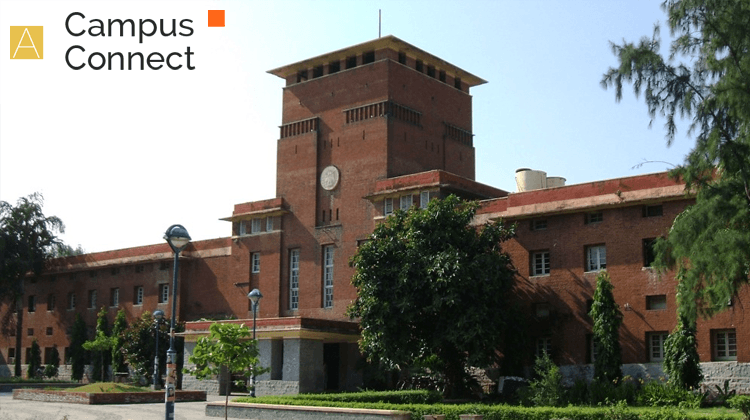 The University of Delhi provides the previous year question papers to the students. Candidates can get to know a lot about the exam through the previous year question papers. Check here the previous year question papers for the DU B.com programme(s) and know how to prepare for the same. Delhi University has provided the students DU Previous Question Paper – B.com subject-wise also. This can help the candidates prepare subject wise as well. The question papers available on this page are the same that are provided to the students every year after the examinations are over. Thus, students who don’t have these papers can get them from here. Candidates are also provided with the question papers in languages – English and Hindi. Previous year question papers are a very crucial part of the preparation strategy. Those students who prepare from the previous year question papers already are aware of a lot of things and thus stay confident throughout the examinations. Know why you must prepare from the previous year question papers. Candidates get to know the format of the question paper. Previous year question papers are a good source of quality practice. Students get to know about the repetitive questions. Solving previous year question papers help in speed and accuracy. Candidates can prepare specific sections which they find difficult. Students can know about their own faults. Familiarity with the paper pattern is also why one must invest time-solving previous year question papers. So far, the students have understood how solving DU Previous Question Paper for B.com is going to help them fetch great marks in their examination. Let’s have a look at the preparation tips which the candidates can utilize for strategizing the techniques and enhancing the performance. Check what you have Skipped: Make a list of the questions you have always skipped. Have a look at what you have skipped so far and why did you skip. Many time it happens that the same questions that we skip during the preparation time are the ones that we see in the question paper. Therefore, check if you can work on getting a little more understanding of the question and subject. Taking help from your seniors and teachers will help build confidence and eventually, you will be attempting those questions in the examinations with confidence. Many times it also happens that students get stuck at those questions which they could answer without batting an eye. One of the best way to not get stuck in such a situation is to help those who have not studied it or think it is way too impossible for them to be studied. You actually are helping yourself by helping others. You can analyze your own performance with the help of the previous year question papers. Once in two days or twice a week you can regain the confidence and retain the knowledge thereby keeping a track on your performance by practising previous year question papers. This way the candidates will become very comfortable with the exam pattern, get used to solving questions, complete the question paper in time and save a lot for careful examination.